Show your support for the humanities! 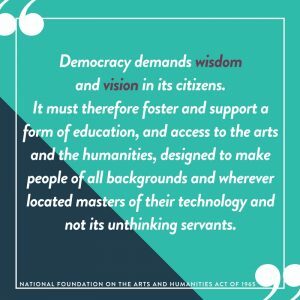 Now more than ever, we need your help in advocating for the value of the arts and humanities in the civic life of our nation. Democracy demands wisdom and vision in its citizens. Join us in telling policy makers that the humanities matter. Write to your legislator, sign a petition, and please, share your humanities story with us using the form below so that your words may be used in advocacy efforts. Find resources here to help make the case for the humanities and follow along on social media using #HumanitiesMatter #SavetheNEH. What impact do Councils make nationwide? Leveraged over $4 for every federal dollar awarded in grants. Funding from the National Endowment for the Humanities is crucial for securing additional support from individuals, foundations, corporations, and state/local governments. Conducted programs in nearly every Congressional district and over 5,300 communities nationwide. Worked with over 8,800 partner organizations. Read a statement from the Humanities Council on the proposed FY18 federal budget cuts. Use this simple action form to call or email your members of Congress to urge them to support funding for the NEH and the State Humanities Councils. Talking points about the impact of Humanities Councils is provided within the form and you’re able to personalize the message. Email the Council to tell us why the humanities matter to you! We gratefully acknowledge our generous supporters. 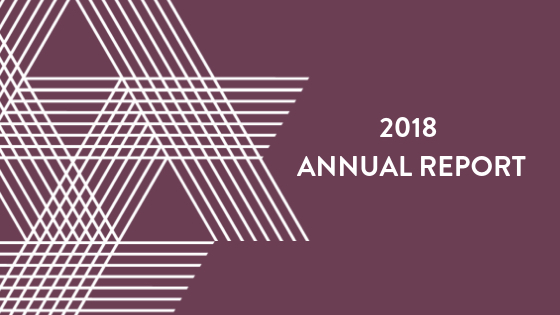 See our 2018 Annual Report for a full listing of last year’s donors.